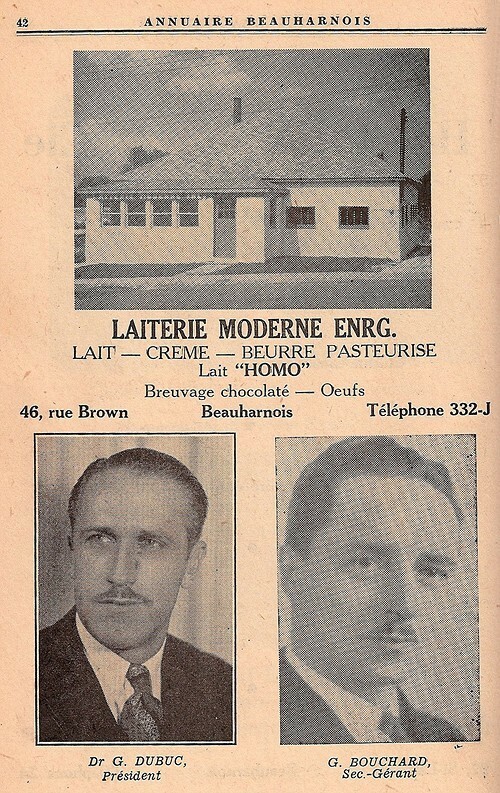 " H. Deschamps Prop. " 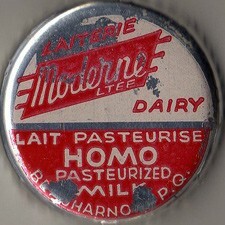 Bottles from Valleyfield show "Moderne Dairy" on them! 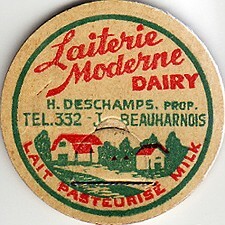 As Beauharnois and Valleyfield are adjacent cities, it might be the same dairy bottling milk for an independant milkman making distribution in Valleyfield. 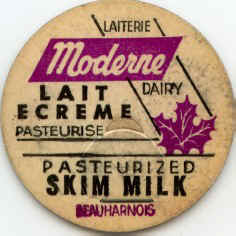 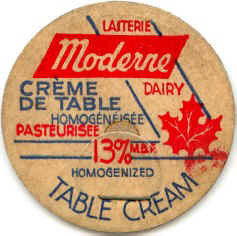 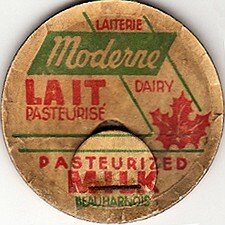 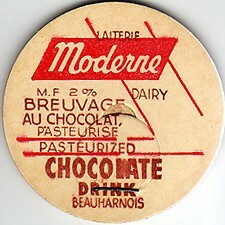 In 1962, Moderne Dairy have been sold to Victoria Dairy "St-Lambert". 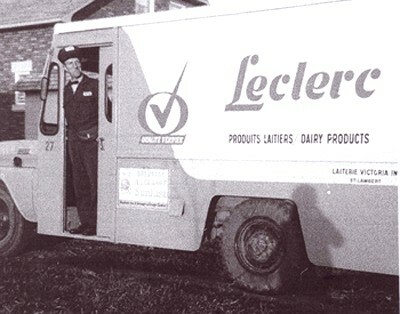 Mr. Marcel Pouliot milkman. 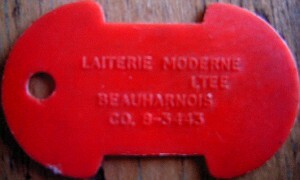 Picture taken in 1971. 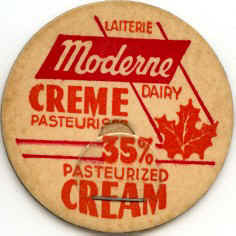 Mr. Pouliot worked for Moderne Dairy during 17 years.